Providence Anderson Post-Acute offers patients requiring a post-hospital stay a higher level of skilled care and rehabilitation delivered by our specialized staff. 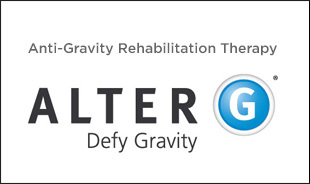 We are committed to assisting our patients in reaching their goals with understanding and dedication. 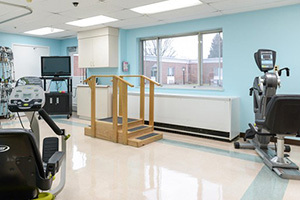 Our unique environment is designed to meet the needs of those requiring a short-stay for rehabilitation while transitioning from hospital to home. Our interdisciplinary team of therapists delivers post-acute services focused on maximizing patient goals in a shorter period of time. Dr. Wa’el Bakdash was born in Syria and has practiced Internal Medicine in America since 1997. Dr. Bakdash is fluent speaking in Arabic and English. Dr. Bakdash received his education at Damascus University and completed his internship in Damascus, Syria. He also completed an internship with Ball Memorial Hospital in 1995. He completed his residency at Ball Memorial Hospital, Muncie, Indiana in 1997. Dr. Bakdash is board certified FACP and is sleep study certified. Dr. Bakdash enjoys spending time with his family. He likes to camp and travel in his spare time.